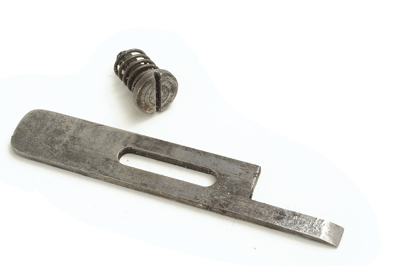 Ever since mankind has needed to make exact or near-exact copies of an original item with the method we call 'casting', the pattern maker has had an essential role in the process. 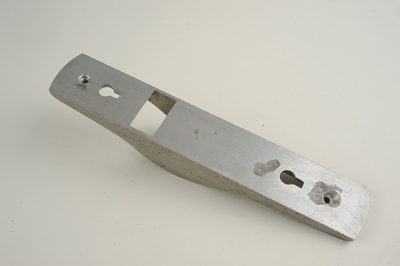 Different materials can be used to create original patterns and different materials can be cast, such as iron or non-ferrous metals. The Industrial Revolution could only have happened because efficient methods of casting metal were developed. This led to a huge iron and steel industry in particular. The pattern maker would create the shape of the desired object in wood which was finished to a good standard so when it was imbedded in casting sand and the sand heated, the by-now moulded sand would separate in two halves from the pattern. This left a perfect impression in the sand ready for casting the metal when the newly created mould was rejoined and sealed tight. There needed to be special rods placed with the pattern when the sand was compressed around it, which would then allow the liquid iron to be poured in and air to escape. Once the iron had set the sand mould was broken open and the casting was ready to be machined and 'fettled'. While this was going on, the original pattern was already being set in more casting sand to thus repeat the process as many times as necessary. 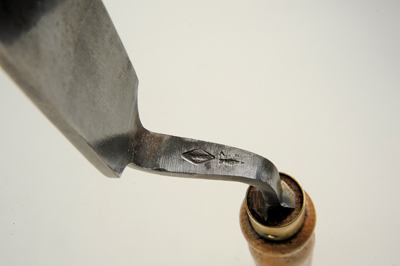 The pattern maker required his own special set of woodworking tools. 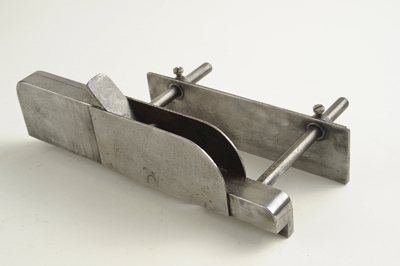 Some were ready-made items familiar to woodworkers, but others were made either by or for the pattern maker at the foundry. 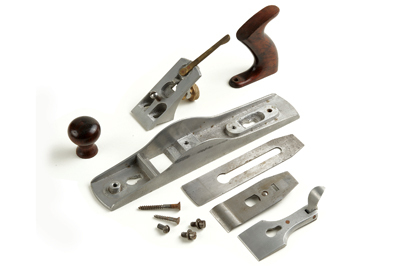 Unsurprisingly, these tools sometimes come on the market and do not tend to get the highest prices as they are of special interest compared with more serviceable everyday woodworking tools. Nevertheless, they have an important place in history, before folded and welded sheet steel, plastics and carbon fibre happened along. 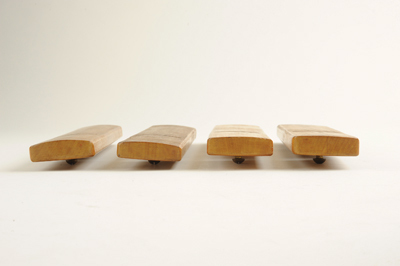 They are fairly usable for general woodworking but are not usually first choice, being more of a collectable thing. Changes in manufacturing methods and the decline of heavy industry in the UK mean these tools are largely irrelevant now. This is the joker in the pack. 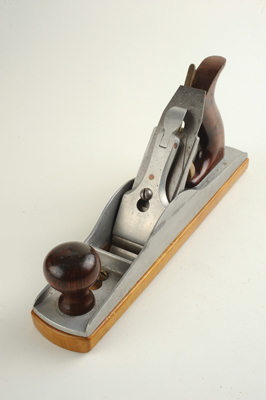 Colin Sullivan, our vintage tools expert, pointed out several anomalies in this aluminium narrow-bodied jack plane. My own investigation suggests the body was cast specially by copying or using an iron-bodied model as a pattern but with a wide open throat. 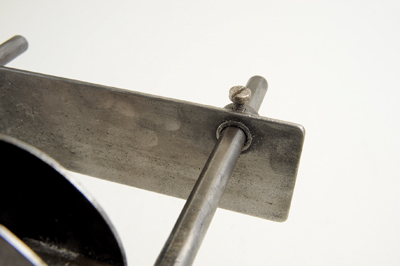 The aluminium has casting defects and the handle and knob are crudely attached. The body has no maker's name, just a lot of 'fettling'. 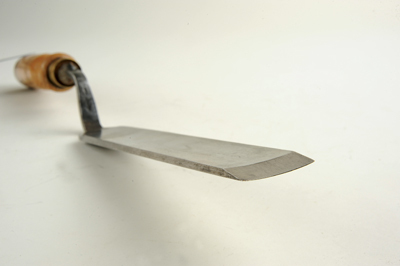 It takes four different wooden sub-bases, each with its own specific radius, but it only came with one blade and cap iron - there should be three more blades. 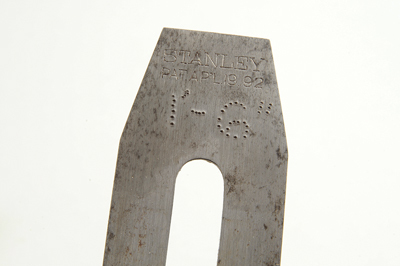 This is marked Stanley and dates from the end of the 19th century, apparently from a rare No.2 smoothing plane. Its added radius is hand-punched to show a match with its own sub-base. 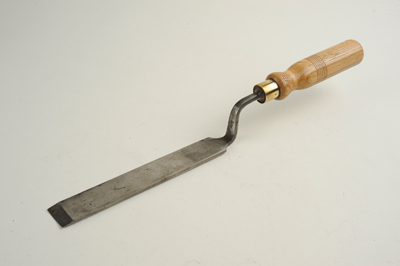 This standard large cranked gouge was sold to me as a pattern maker's tool - which it probably is, as the cranked handle would allow unfettered access when shaping a mould. It has an indecipherable manufacturer's mark. 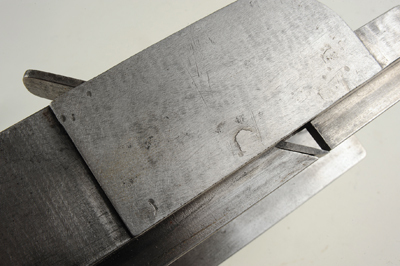 A very heavy shop-made grooving plane with a movable fence and a fixed depth limit of ?in. It works but it has a handmade crudeness about it. The iron body is solid metal which is 'dirty' with carbon that rubs off easily, suggesting it could be wrought or at least high carbon steel.